Marko Foam Stringerless Recycled EPS blanks. Custom designed Web-fused Carbon Engineered Flex. 6oz bottom, 6/4oz deck with S-cloth for exceptional strength-to-weight ratio. Light weight, extra flotation equals better paddle power without added volume. 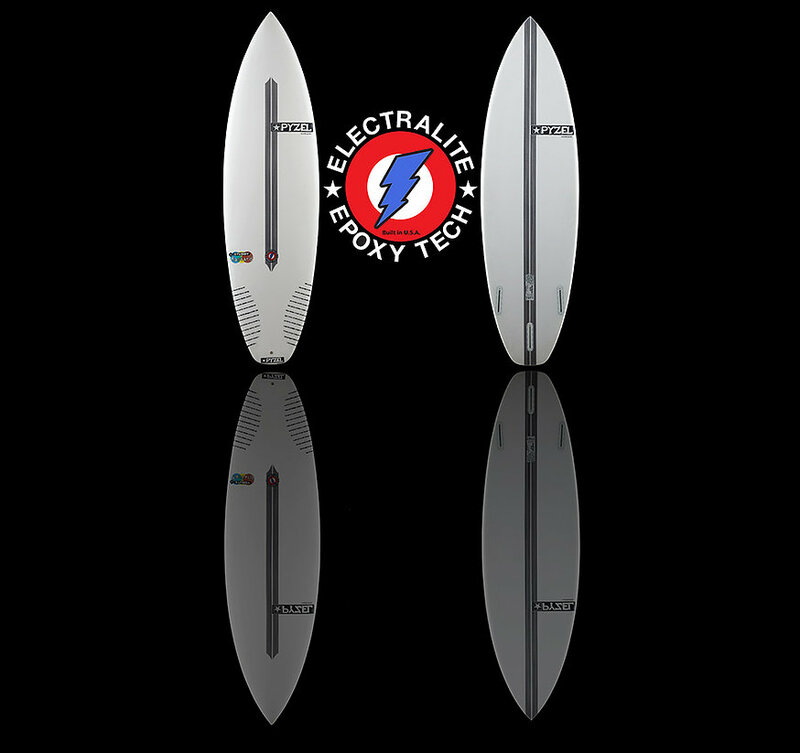 Custom and stock boards all made in the U.S. by surfers, for surfers! Copyright (C) 2018 Pyzelsurfboards Japan Inc. All Rights Reserved.